The Philippine Science Journalist Association Inc. (PSciJourn) and the Philippine-Chinese Charitable Association recently entered into an agreement to provide charitable medical services to working science journalists. PSciJourn president Angelo Palmones, who is also DZMM’s station manager, and Dr. James Dy, president and chairman of the board of the Philippine-Chinese Charitable Association, signed the memorandum agreement (MOA) in behalf of their organizations. The signing ceremony was held at the conference hall of the Chinese General Hospital and Medical Center. The two parties have agreed that in the event of medical emergency affecting the PSciJoun members, the Philippine-Chinese Charitable Association shall administer diagnosis and treatment to the journalists, including major surgeries at the Philippine-Chinese General Hospital and Medical Center in Manila. The medical center shall provide 50-percent discount on room charges and 30-percent discount on laboratory, pulmonary and x-ray services upon presentation of proof that the patient is a PSciJourn member. The MOA is valid for one year subject to renewal as may be agreed by both parties. 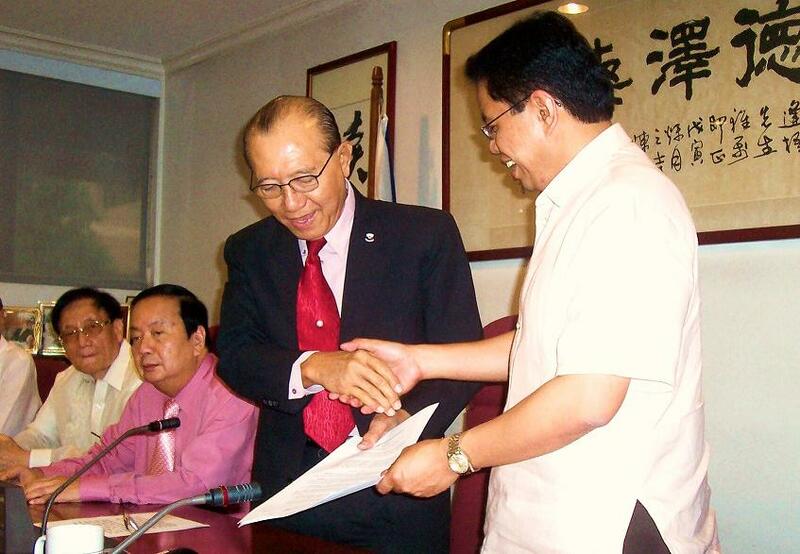 Dr. James Dy (left), president and chairman of the board of the Philippine-Chinese Charitable Association Inc., and Angelo Palmones, PSciJourn president, shake hands after signing the memorandum of agreement for discounted medical services for science journalists. Why did the Phil.Chinese Charitable Association agree to give discounts from the Chinese General Hospital to the members of the PscJournalists? It is because of charity? inform the reality then again I’ll definitely come again again.